Glutamate excitotoxicity is involved in many neurodegenerative diseases including Alzheimer’s disease (AD). Attenuation of glutamate toxicity is one of the therapeutic strategies for AD. Wolfberry (Lycium barbarum) is a common ingredient in oriental cuisines. A number of studies suggest that wolfberry has anti-aging properties. In recent years, there is a trend of using dried Wolfberry as food supplement and health product in UK and North America. 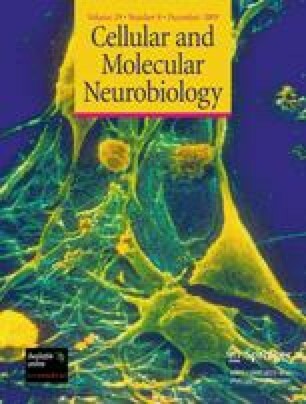 Previously, we have demonstrated that a fraction of polysaccharide from Wolfberry (LBA) provided remarkable neuroprotective effects against beta-amyloid peptide-induced cytotoxicity in primary cultures of rat cortical neurons. To investigate whether LBA can protect neurons from other pathological factors such as glutamate found in Alzheimer brain, we examined whether it can prevent neurotoxicity elicited by glutamate in primary cultured neurons. The glutamate-induced cell death as detected by lactate dehydrogenase assay and caspase-3-like activity assay was significantly reduced by LBA at concentrations ranging from 10 to 500 μg/ml. Protective effects of LBA were comparable to memantine, a non-competitive NMDA receptor antagonist. LBA provided neuroprotection even 1 h after exposure to glutamate. In addition to glutamate, LBA attenuated N-methyl-d-aspartate (NMDA)-induced neuronal damage. To further explore whether LBA might function as antioxidant, we used hydrogen peroxide (H2O2) as oxidative stress inducer in this study. LBA could not attenuate the toxicity of H2O2. Furthermore, LBA did not attenuate glutamate-induced oxidation by using NBT assay. Western blot analysis indicated that glutamate-induced phosphorylation of c-jun N-terminal kinase (JNK) was reduced by treatment with LBA. Taken together, LBA exerted significant neuroprotective effects on cultured cortical neurons exposed to glutamate. The authors would like to thank Professor J. N. Fang for his help in providing LBA, Miss Michelle Huie for critical reading of the manuscript. This work is supported by the HKU Alzheimer’s Disease Research Network, General Research Grant (7552/06 M) and NSFC/RGC Joint Research Scheme (N_HKU707/07M) from Research Grant Council, and HKU Seed Funding for Basic Research (200811159082) to RCCC. Also, the work is supported by Azalea (1972) Endowment Fund. WHY would like to thank for the support from the Department of Chemistry. YSH is supported by the Graduate School, MSY is supported by Postdoctoral Fellowship, The University of Hong Kong.